Growing life expectancy, while something to be celebrated, also means that a rising number of people are living with chronic conditions such as cardiovascular diseases (CVD). Access to optimal medical treatments often depends on a person’s financial resources, and with healthcare costs skyrocketing and coverage declining, the patient is getting squeezed in the middle. Government has a responsibility to ensure healthcare coverage; however, the healthcare system is not working optimally for everyone regardless of who pays. The goal of universal health coverage is to address the health needs of patients, like those with CVD, but ensuring minimum standards of care and financial protection. Traditionally the bulk of costs for healthcare come from national health budgets; however, out-of-pocket expenses for patients are often necessary at the time of care. Sadly, over half of the world’s population cannot access essential healthcare and 100 million people are driven into poverty each year because of out-of-pocket spending on health services. Photo Credit: Journal of the American College of Cardiology / Roth et al. In 2015, there were an estimated 422.7 million cases of CVD and 17.92 million CVD deaths globally. 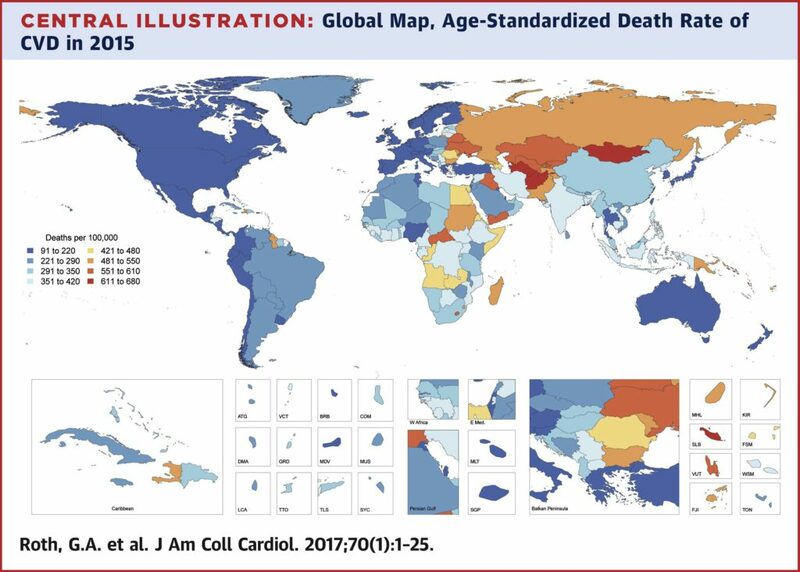 Ischemic heart disease was the leading cause of lost CVD health lost globally, as well as in each world region, followed by stroke. CVDs remain a major cause of health loss in all regions of the world. Socio-demographic changes over the past 25 years have been associated with dramatic declines in CVD in regions with a very high socio-demographic index (SDI), but only a gradual decrease or no change in most regions. 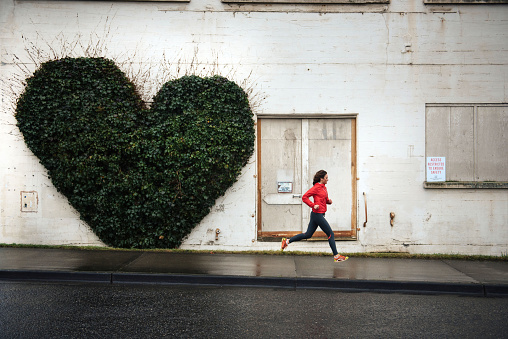 CVD mortality is increasingly determined by geographic location, wealth and education — collectively called social determinants of health. These factors also influence modifiable risk factors like diet, physical activity and smoking. When we talked with US patients, they tell us they appreciate life-saving and life-improving treatments, but they have rising concerns about whether they can afford the cost of that care. They also consistently tell us they want to be engaged in their care, understand what their doctor recommends, and develop a partnership that goes beyond the examination room. Beyond affordability, patients report that care is disparate, too complex to manage, unfocused and incongruent with their goals and priorities. Globally there is a growing recognition that healthcare leaders should prioritise patient-reported outcomes and patient-reported experiences as well as health-outcome metrics to assess quality whenever possible. As people live longer, the need is urgent to improve innovation, treatment and payment systems so that they incentivise and support the delivery of value in healthcare. Without the patient voice represented throughout this process, true value won’t be achieved. According to the World Economic Forum, global healthcare has advanced tremendously in knowledge and innovation, yet many informed observers doubt that society is getting the full value of the annual $6.5 trillion spent worldwide on healthcare. It is estimated that 30-50% of this spend is wasted. That’s because one-third of all healthcare spending is on services and treatments that account for only 10-20% of improved patient outcomes. The Astana Declaration reaffirms the need to move care upstream by focusing on prevention and primary care. It calls for enhancing capacity and infrastructure of public health functions and developing quality primary care that is continuous, comprehensive, coordinated, community-oriented and people-centered. The focus on ‘outcomes-based care’ is expected to go global, triggering the adoption of risk-sharing solutions by payers with involvement by governments, providers, clinicians, researchers and patients. Partner with regulators on sustainable clinical trial models so that investment in cardiovascular innovation is supported and encouraged. Create an evidence-based strategy that inspires investment in solutions that support a consumer-centric system of value, affordability and innovation. Engage patients and their caregivers and ensure their desires are heard and their goals met. Create unique payment model solutions that focus on upstream prevention rather than downstream treatment. Invest in technology such as virtual health and telehealth and expand services while helping hospitals curb costs. The World Economic Forum Global Coalition for Value in Health Care has joined forces with the American Heart Association and Duke-Margolis Center for Health Policy as part of the Value in Healthcare Initiative to tackle this challenge. Our efforts are convening many diverse stakeholders including patients, clinicians, researchers, public health officials, product developers, employers and others. All share the sense of urgency for change and are willing to act now to develop solutions for the people who are counting on us most. This post was written by Nancy Brown, Chief Executive Officer, American Heart Association (AHA). AHA, a 2019 GHC member, improves the lives of all Americans by providing public health education in a variety of ways. They educate lawmakers, policymakers and the public as they advocate for changes to protect and improve the health of communities. This post originally appeared on the World Economic Forum’s blog.